Drupology™ is a leading Drupal website development agency based in London, developing exceptional Drupal websites to a variety of high-profile organisations. A full-spectrum of Drupal services are available to all of our clients. Drupology boast a portfolio of high-profile clients including UNICEF, EMI, The Mayor of London, Apple Records, Dods Parliamentary Communications Ltd, Waveloch LLC, Hoya Vision Care, First Utility, Scottish Water, What House and many more. Our credentials and experience speak for themselves. We are active contributors to the Drupal project, have an organisational membership with the Drupal association as well as being an approved vendor for Drupal services, and an official Acquia partner. Your next project can benefit from our experience and expertise - we'd love to exceed your expectations and develop your website into something incredible. Take a look through the list of services your organisation can benefit from and do please get in touch. Drupal development is our specialty and first love - we've been doing this every day since 2007. Our expertise and experience ensure we can develop complex websites with relative ease, turning your ideas and creativity into reality. Customised and bespoke Drupal website development and design with eye-catching and rich UIs. Developed with best-practice methodologies to ensure long-term stability, security, and future-proofed extendability. Benefit directly from the broad, real-world knowledge and experience a professional Drupal consultant can share with you and your organisation. With a range of comprehensive Drupal training courses and post-course support, you'll have everything you need to start building amazing Drupal websites. Your organisation is unique and our Drupal themes are unique too. Understanding your visitors and creating the right user-journey is part of what makes the perfect Drupal theme. Drupology are an experienced UK based agency providing tailored, professional Drupal support services. We have a range of Drupal support services to suit your budget. We partner some of the most recognised website hosting companies in the UK including Acquia, RackSpace and Amazon. We ensure your Drupal website is stable and delivers high-performance. Drupal makes digital marketing very straightforward thanks to an array of modules to assist with page titles, meta tags, new content, etc. We manage Drupal digital marketing campaigns for a number of UK clients. In the social age it's critical for many organisations to interact with their online community via social networks. Drupal and social network technologies make integration easy. Drupal is an open-source platform that accelerates website development. Drupal websites can easily incorporate complex functionality and requirements by taking advantage of the thousands of open-source modules and tools developed by contributors from all over the world. Drupology is a digital agency who specialise purely in Drupal website development, building on our clients' ideas, concepts, and desires to create outstanding online experiences. We build exceptional Drupal websites, and continue to be active in its development. With many contributed patches, modules, documentation, and suggestions, we are proud contributors to this well established platform. 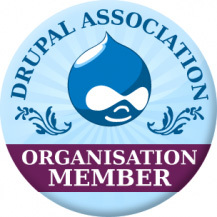 Drupology partners with a number of organisations including Acquia and are proud to be Organisational Members of the Drupal Association. Here are a couple of useful tips for making development and debugging easier. All content and images © 2007 - 2019 Drupology, except those owned by their respective copyright holders. Drupology is the trading name of NMA Ltd - Company number 06486701, registered in England and Wales.